I hope your days are full of MEGA exciting stories and adventures! I also hope that the novel “The Monster: Blade of Darkness”, the first part of “The Monster” trilogy, has given you the opportunity to experience such exciting adventures in your mind. Nowadays I keep receiving messages from you, dear Readers and Supporters, about the next book of “The Monster” trilogy: When will it be written? When will it be published? And when will you be able to get your hands on it and continue the adventures together with Jessie, Jack, Azul, and Blade of Darkness? This encourages me to keep writing and developing the story for you to enjoy and learn from. However, writing novels takes a lot of commitment of time and effort from my side. In order to be able to allocate this time and effort and focus on creating the next books of “The Monster” trilogy, as well as continue doing this together with a collaborative community of you, dear Readers and Supporters, I have just launched the Patreon page of “The Monster” trilogy. So, with this post I invite you to visit the page at https://www.patreon.com/themonster and check out my video and story of creating the SciFi trilogy “The Monster” there. And if you like certain benefits that you will get for supporting the trilogy do choose them. I will be grateful to you for any support you can offer for making this big and bold dream come true. Merry Christmas and Happy Stories in the New Year! I hope you are enjoying the preparations for celebrating Christmas and New Year. I also hope that the year 2016 was a very productive and successful one. It was so for me and my writing and book-publishing progress, an achievement that became possible due to your kind support, valuable contribution, constructive feedback, and, of course, appreciation of my works. And here I would like to express my gratitude to you for all this! In 2016 my science-fiction novel “The Monster: Blade of Darkness” reached many more of Amazing Readers in different parts of the world. The books travelled to different places in my home country Moldova, then to Ukraine, Hungary, and even Myanmar. You can see it on the Pinterest page of “The Monster”. 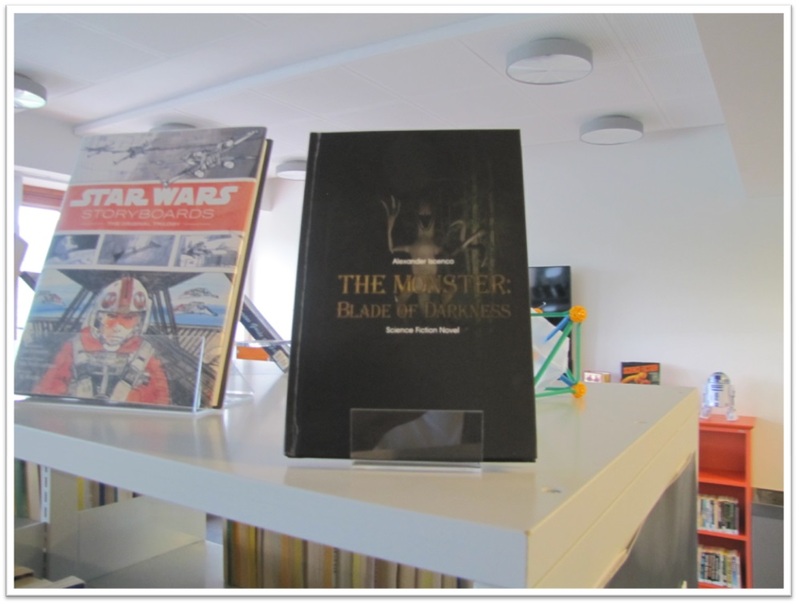 Moreover, as part of the serendii stand in the project StadtLesen, the English version of “The Monster: Blade of Darkness” made a tour around Austria and Germany, where it was exhibited in specially arranged public spaces for anyone to read it. For this I thank its publisher, serendii, and my Austrian friend and writer, Wolfgang Stricker. 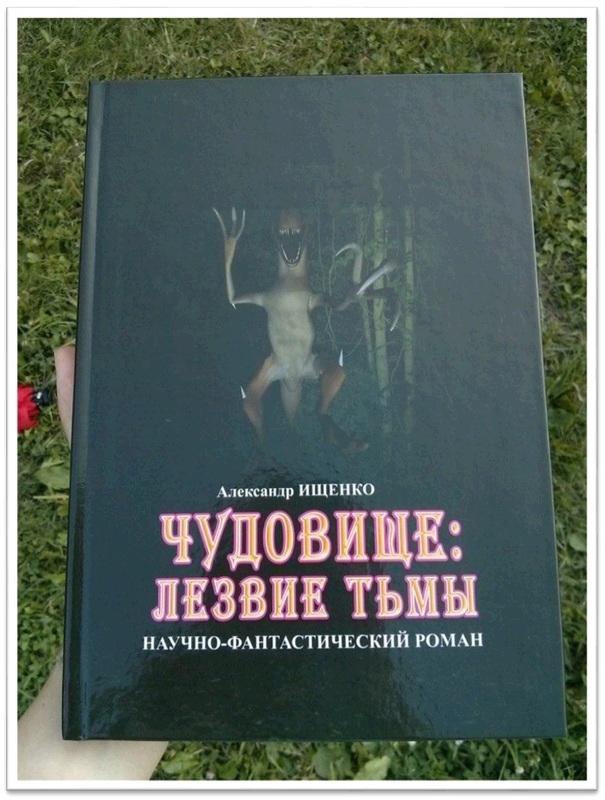 Also in 2016 a very important achievement happened: the “family” of linguistic diversity of the books “The Monster: Blade of Darkness” was enriched by one more language: Ukrainian. So, nowadays you can find the novel available for reading worldwide in three languages: Russian (original), English, and Ukrainian. 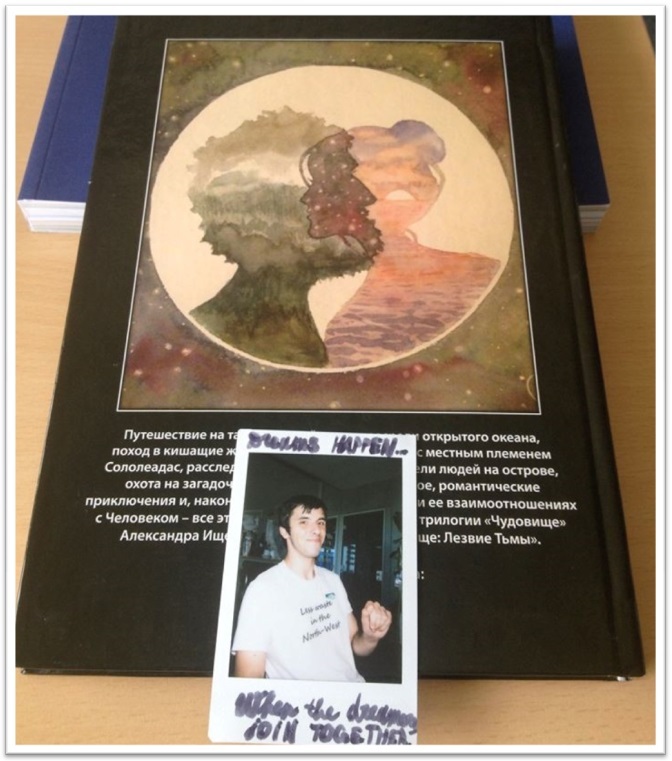 This was achieved due to significant contributions of the three Amazing Readers from Ukraine, who are now co-authors of the Ukrainian version of “The Monster: Blade of Darkness”: Aleksandra Polivanaya, Alexandra Pakhurina, and Lada Merkulova. So, thank you for that, dear Ladies and friends! Finally, the year 2016 saw quite good progress in writing my current science-fiction romantic novel “Simply Love”, the prequel to “The Monster: Blade of Darkness”. I managed to write ten more chapters of its second draft version. In 2017 you can expect me to finish the final draft in Russian, proof-read it, and translate it into English. And, who knows, maybe you will see “Simply Love” already published by the end of 2017. All in all, 2016 was a very good year for me as a writer largely due to your interest in my works, support offered to me, your feedback shared with me, and, of course, your belief in me and the messages I share with the world through my books. Thank you very much, dear Amazing Readers and Supporters! I wish you a Merry Christmas and a happy continuation of writing your wonderful life stories in the New Year! There has been a long period of time when I hadn’t written anything on this blog. There are two reasons for that. The first one has already been mentioned in the recent posts: the writing of my next novel entitled “Simply Love”. The second one is that together with some of my amazing friends and readers from Ukraine, Aleksandra, Alexandra, and Lada, I have been busy preparing a new edition of the Sci-Fi novel “The Monster: Blade of Darkness” to be available in the beautiful and melodic Ukrainian language. Recently I came up with a saying: “My reader is my CEO”. It means that I rely on the readers of my books to decide what they want to see and read from my side. 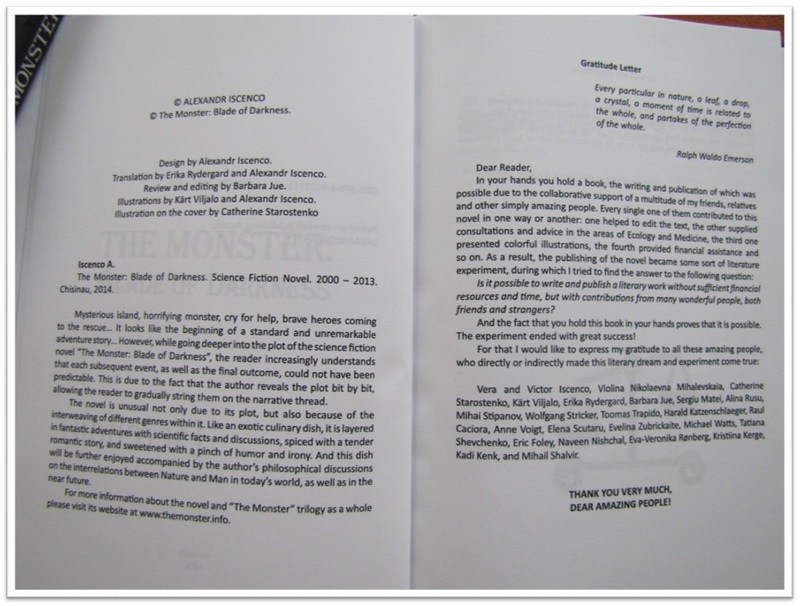 Therefore, when Aleksandra and Lada expressed willingness to help me bring the first part of “The Monster” trilogy to their home country by translating into their native language, I gladly agreed. Since then these amazing Ladies have managed to translate the entire novel into Ukrainian, while I have found possibilities for it to be published and available for orders worldwide. 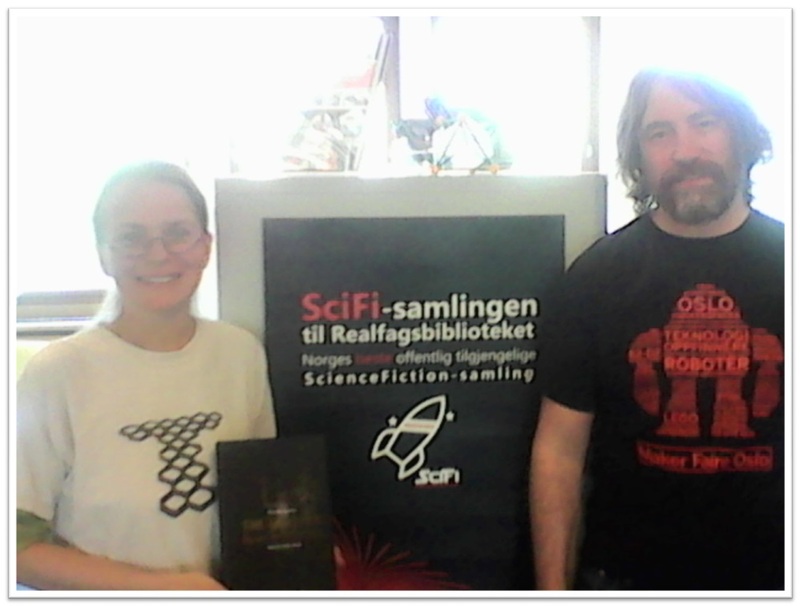 Later another wonderful person, Alexandra, joined our endeavour and contributed with reviewing and editing the translated text. And nowadays the book “The Monster: Blade of Darkness” is almost ready to be released. + Exclusive invitation to the official launch event of “The Monster: Blade of Darkness” in Ukrainian with your presentation as the main supporter of this dream coming true. So, we invite you to go to the page of the campaign “The Monster: Blade of Darkness in Ukrainian”, choose the benefits you would like to receive, and pre-order your own copy of the novel “The Monster: Blade of Darkness” in the beautiful Ukrainian language. And then please share the campaign with your friends and contacts in Ukraine for them also to be able to pre-order their copies of the book. 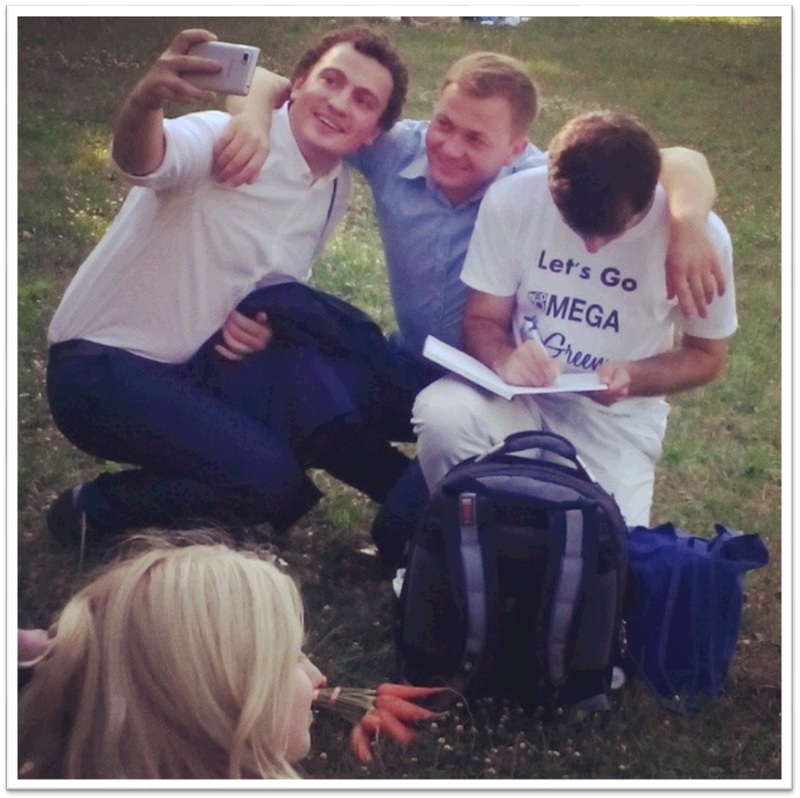 We, Alexander, Aleksandra, Alexandra, and Lada, are grateful to you in advance! In the post “Wish You MEGA Great Love!” I mentioned about my intention to write and publish the prequel to my novel “The Monster: Blade of Darkness” entitled “Simply Love”. 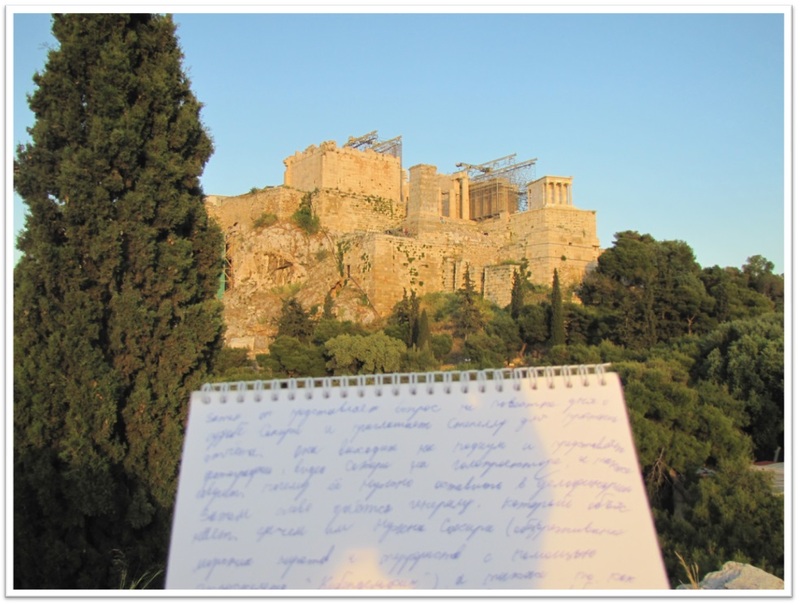 And several days ago this intention took a concrete form of the draft of the “Simply Love” novel plot finalized near such a historically significant place as Acropolis in Athens, Greece. This place was chosen specifically to meditate, reflect on my impact and legacy in the world, and write the plan for my new large novel in peace of mind and heart. “Simply Love” is going to be a romantic novel focused on the attempt to describe sincere and pure love without lies, intrigues, greed, and other unnecessary elements usually involved and focused on in traditional love stories. It will draw parallels between the love of a couple of people and the one of two animals, specifically dolphins. In this way you will see how universal true love really is and how it is ready to embrace any living creature in spite of its species. Besides that the novel “Simply Love” is going to introduce you to the two characters, who will play one of the key roles in the events to happen in the second part of “The Monster” trilogy entitled “Armageddon’s Blade”. There you will also meet Frederick Miranderik, the founder of the Genetical Enjoyment Company and father of Leonardo Miranderik from the book “The Monster: Blade of Darkness”. Last but not least, from the novel “Simply Love” you will learn about a number of rapidly developing modern technologies, such as 3D printing, robotic prosthetics, electromagnetic trains, etc., and how they might influence our lifestyle in the nearby future. Many of the thoughts presented there will be based on my own experience in working with these technologies, particularly with 3D printing and robotics. So, starting from today I begin transferring the plan of the novel “Simply Love” into a concrete text of the future book. I plan to finish it in Russian by the end of this year, translate it into English at the beginning of next year, and publish the book by the 9th of May, 2016. I will keep you, dear Amazing Readers, updated on the progress of writing the novel “Simply Love” through this blog.